I had written the article about unlocking of Saudi Arabia Zain E5172AS-22 WiFi router. Like other Huawei routers, as I had mentioned in the unlocking of Huawei B683 (Orange Uganda), STC E5172s-920 (Saudi Telecom company) can not be unlocked. Other routers which come with USB port like E5331, E5332, E5776s, E5830, E583x, E585U-82, E585, E586, E587, E612/E618 and various other R series routers like R201, R210, etc can also be unlocked easily. But, to unlock Softbank ULTRA WiFi 4G 102Z Huawei WiFi router, neither Huawei modem code writer nor CardLock Unlock tool software will work. 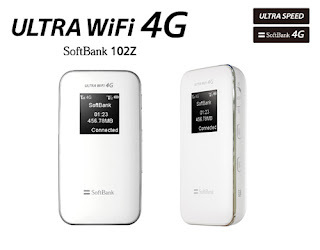 How to Unlock Huawei Softbank ULTRA WiFi 4G 102Z Router? Make sure your Router is Charged. Insert operators sim card that does not work with your Locked Router. Enter unlock code & Click on ‘Ok’ Button. Access and login to your device’s dashboard at http://192.168.1.1 or http://pocket.wifi then go to Advanced Settings -> SIM Settings -> Unlock Device -> Enter Unlock Code -> Click Apply. Your Router is now unlocked. Don’t use any wrong codes into huawei Soft bank ULTRA WiFi 4G 102Z Router! Users who want more codes for them We will reduce the prices as less as possible.